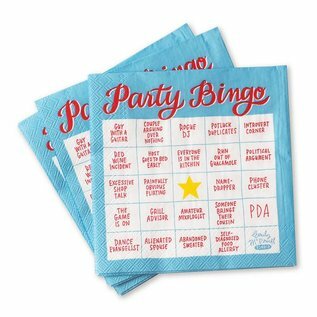 When you use these napkins at your next gathering, you’ll not only be providing your guests with a game to play when you can’t be next to them due to your busy hosting obligations, but you’ll also be offering a subtle reminder to each and every guest to not take out their guitar. And also that you need help with the grill. 20 5"x5" napkins per package.